TOP SCIENTISTS, EXPERT IN FIGHTING INFECTIOUS DISEASES, ARE SUDDENLY EITHER DEAD OR MISSING! Title: TOP SCIENTISTS, EXPERT IN FIGHTING INFECTIOUS DISEASES, ARE SUDDENLY EITHER DEAD OR MISSING! NUMEROUS ISRAELI SCIENTISTS IN THESE SAME FIELDS ARE DEAD! Subtitle: With newspapers full of warnings of imminent attack by chemical and/or biological weapons, should we not be concerned by the sudden demise of these scientists? Have we not lost a first line of defense through a loss of their leading edge technology? NEWS BRIEF: "Israeli biological and nuclear scientists being knocked off in covert war", email by Barry Chamish, 12/5/2001. "Israeli biological and nuclear scientists are being knocked off one by one and this covert war is going unnoticed. A plane carrying scientists to Russia's biological warfare center at Novosibirsk was blown up over the Black Sea and no one questions that the Ukrainian missile that supposedly did the job was a hundred miles out of range. "Then a Swissair Corsair crashes killing the head of Ichilov Hospital's Hematology department, as well as directors of the Hebrew University School Of Medicine and the Tel Aviv Public Health Department and not a word of suspicion is raised. "After that, one of the country's most prominent nuclear scientist, Baruch Zinger,is assassinated and still, no one is putting the pieces together. Your front line against nuclear and biological attacks is being picked off in a covert murder campaign and your government is taking no security precautions to stop the intellectual slaughter ..."
At a time when our newspapers are full of dire warnings of possible imminent terrorist attacks using biological and/or chemical weapons, we would need the best minds possible standing ready to direct a response that would save lives. If you have ever watched a movie in which the plot is infectious disease, you will notice that authorities immediately contact the most influential and cutting-edge medical scientists. These top scientists usually become the star of the movie. Israel is a small nation, so the sudden loss of so many of their top biological and nuclear scientists is devastating. However, were it not for Barry Chamish, we would never have known about this sudden loss of scientists trained in this particular area of expertise in biological and nuclear weapons. Chamish calls it a "covert murder campaign", so we have to take him at his word, since he has proven himself to be a responsible journalist. It almost seems as though someone in authority, and with the necessary resources at their disposal, does not want their country to be able to mount an effective counterattack against a biological and/or chemical attack! Once you remove cutting-edge scientists who could be counted upon to supply the expertise upon which an effective response could be mounted, you have a badly depleted national response system. This situation in Israel should be of intense concern to anyone who is knowledgeable about the situation, for Israel faces Arab enemies who have sophisticated biological and chemical capabilities. Syria, Iraq, and even Iran have worked very hard to develop both these capabilities. Furthermore, the leaders of all these countries have made no bones about their intention to one day use this technology against Israel. Therefore, it should be highly upsetting to Israeli leaders that a sudden brain drain is occurring -- apparently by design -- that is denying Israel access to the very intellectual resource they need at the very time it seems they would need it. Yet, nothing has been reported in the major news on this subject, and it seems that no heightened security measures have been placed around any other scientist in these fields. Were it not for Barry Chamish, we would have known nothing about the sudden demise of all these scientists in these particular scientific disciplines. AMERICAN BIOLOGICAL AND DNA SCIENTISTS ALSO GONE! "Wiley, a Harvard biochemistry and biophysics professor, is considered a national expert on Ebola, HIV and influenza. Ebola is a highly contagious virus that kills 50 to 90 percent of its victims; there is no vaccine. In 1999, Wiley and another Harvard professor, Dr. Jack Strominger, won the Japan Prize for their discoveries of how the immune system protects humans from infections." Dr. Wiley and Dr.. Strominger won the Japan Prize for their discoveries on how the human immune system can protect us from infections? Now, that seems to be an important bit of information to have if a nation may be struggling with massive outbreaks of a deliberately caused infection, don't you think? The argument may be made that much of this material has been published and is in libraries and on the Internet. Further, Dr. Strominger has not turned up missing or dead, so this missing scientist, while unsolved, does not prove anything. You could be right, but let us continue. "Robert G. Templin, who worked at CIT for about six years, described Schwartz as a brilliant scientist who had a gift for explaining complex scientific subjects in simple language. 'He was the kind of person who could live in the scientific world or the business world or the everyday world of Virginia citizens and explain why science is important' ..."
This Dr. Schwartz was a gifted, brilliant scientist, one person you would want to have around if the nation were faced with an imminent biological and chemical attack, and one who could take charge of the situation were it to become chaotic. Now, he is gone, and his brilliance and his unique abilities are gone with him. "A microbiologist killed at CSIRO's animal diseases facility in Geelong had logged 15 years' experience with the unit, police said today. Victoria Police said Set Van Nguyen, 44, appeared to have died yesterday morning after entering an airlock into a storage laboratory filled with nitrogen ... He was killed after entering a low temperature storage area where biological samples were kept. Police said he did not know the room was full of deadly gas which had leaked from a liquid nitrogen cooling system. Unable to breathe, he collapsed and died." Australia has now lost a microbiologist specializing in animal diseases. He obviously thought the airlock was filled with normal oxygenated air, or he would have either not entered, or he would have taken breathing equipment. ACCIDENT, WEIRD COINCIDENCE, OR SOMETHING MORE SINISTER? Any one of these instances would have been overlooked and dismissed as either a terrible accident or a weird coincidence. However, since three non-Israeli scientists have died, and a number of Israeli scientists have died, each one possessing unique knowledge that would prove invaluable to Israel and the United States were we attacked with biological and chemical weapons, one has to wonder if someone is not deliberately killing these scientists. Jewish author, Barry Chamish, certainly thinks the Israeli scientists are being killed. Listen again: "Israeli biological and nuclear scientists are being knocked off one by one and this covert war is going unnoticed ... Your front line against nuclear and biological attacks is being picked off in a covert murder campaign and your government is taking no security precautions to stop the intellectual slaughter." Thus, Chamish simultaneously states that these deaths are acts of deliberate murder and that the governments must be involved, or else they would immediately act to surround all other scientists of similar expertise with heightened security. Certainly, these deaths seem ominous when you realize that the papers are literally full of story after story after story of imminent attacks on our cities by biological and/or chemical weapons. If we are attacked in a major way with biological and/or chemical weapons, these men just might have possessed unique abilities to counter an attack. Indeed, I believe this may probably be the case. While much of what these men knew and have already discovered may be known by others, may be in print, and may be on the Internet, we do not know two factors about each of these men. First, we do not know what cutting edge technology they may be working on right now, that is known to very few people. With total knowledge in the world doubling now every few months, this factor may be significant. Second, we do not know what personal unique abilities in personality, organization or experience under times of duress, these men may have possessed. During times of crisis, a person's unique ability to lead other men, or to analyze a difficult and different catastrophe that has unfolded may mean the difference between success or failure, between lives saved and lives lost. Each of these men may have possessed just such unique abilities. Dr. Patricia Doyle vigorously gives her viewpoint as to what is going on here. "I believe there a cabal exists in the US and that this group is responsible for the anthrax hoax mailings of 1998 and the recent, deadly anthrax mailings of 2001. This cabal consists of some members from the highest levels of Government, the Military and the Biotech Industry. There appears to be a clandestine plan to develop a virulent infectious disease and quite possibly a 21st century version of the 1918 Spainish flu or other virus. "This pathogen is going to be genetically-altered to only infect a certain group of people. I believe that Dr. Wiley's research of immunity factors of viruses, bacterias and mycoplasmas will be used to create a pathogen that will NOT infect (will leave untouched) a designated genetic type. This portion of the genetic target weapon was no doubt developed with research from Dr. Schwartz. In essence, a doomsday bioweapon can be released with a guarantee that the genetic code of certain individuals, and the virus itself, will protect these individuals from infection. One other possibility exists as to why these cutting-edge scientists and researchers are being suddenly killed. They might not be aware of the degree to which their research is about to be twisted into a DNA-specific biological pathogen that can wipe out 1 billion targeted people worldwide. These researchers may very well have had totally benign plans and goals in place for their research. Not only would they be unbelievably shocked to see how their research had been corrupted when the new pathogen hits the population, but they would probably know exactly who had the capability to twist their research into people-killing weapons. These researchers might then decide to go public with their inside knowledge and point the finger directly at the people responsible. Hence, they were killed. This sudden demise of so many leading researchers in either related or overlapping disciplines also may tell us that the time to release this DNA-specific pathogen may be just around the corner. The time may be imminent for the release of this new biological warfare weapon. NEW WORLD ORDER PLAN AS REVEALED BY BILL COOPER IN 1992 IS STILL IN EFFECT! The entire purpose of Cutting Edge Ministries is to alert people to the fact that all of the events of which Jesus and the Prophets and the Apostles warned would occur at the End of the Age are upon us, here and now. 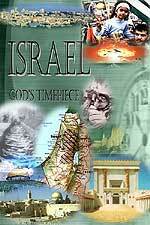 Israel is back in her land and will never leave, according to God's promises. The world is going global -- politically, economically, religiously -- just as the Bible foretells. The 10 super nations of Daniel 7:7-8, chapter 2, and Revelation 17:12-17 were set in place between December 31, 1992 and the end of 1996. [Read NEWS1002 for details as to how the 10 Super Nations were set in place]. All Bible prophecies, taken together, seem to be telling us the same thing. All parts of the New World Order Plan to produce World War III, plus all the accompanying chaos, disasters, terrorism, and economic collapse are filling your daily newspapers, TV shows, and radio in the form of threat warnings. The handwriting seems to be on the wall, and these sudden deaths of so many brilliant and distinguished scientists whose expertise would prove invaluable during a biological attack seems to be unnerving. "And I saw when the Lamb open one of the seals, and I heard, as it were the noise of thunder, one of the four beasts saying, 'Come and see'. And I saw, and behold a white horse: and he that sat on him had a bow; and a crown was given unto him: and he went forth conquering, and to conquer." First Seal Judgment. If this is the case, then the storm clouds on the horizon that would fulfill Seal Judgments Two, Three, and Four should be visible right now. This is the lesson of the continuous warnings we keep getting of these type of attacks. Let us review the rest of these judgments. Note the rider was given a huge sword. Huge swords today are called Weapons of Mass Destruction, and are nuclear, neutron, biological, and chemical. Is it any wonder we see warnings almost daily in our newspapers, magazines, on TV, on radio, and on the Internet about these very weapons? Further, note the sequence of the Red Horse of War; it follows the appearance of Antichrist. Turn with me to Daniel 7:7b-8, to see a sequence of prophetic events following the appearance of Antichrist. "... it was different from all the beasts that came before it, and it had ten horns ... I considered the horns, and behold, there came up among them another horn, a little one, before which three of the first horns were plucked up by the roots ..."
In this sequence, we see that, immediately following the appearance of Antichrist [First Seal of Revelation 6:1-2], huge war breaks out that totally annihilates three of the original 10 super nations. Since America is part of NAFTA, Nation #1, it is possible we are annihilated at this point [Read CE1038 for details]. The very fact that America's Founding Masonic Fathers were told by their Guiding Spirits that our national bird was to be the Phoenix Bird does not bode well for our prophetic future, for the Phoenix Bird is an Egyptian occult bird that, when it is time for it to die, it voluntarily bursts into flame and burns to ashes [Read NEWS1259, Hillary Wears Phoenix Bird Pin]. Third Seal Judgment: "When He broke open the third seal, I heard the third living creature call out, 'Come, and look!' And I saw, and behold, a black horse, and in his hand the rider had a pair of scale (a balance). And I heard what seemed to be a voice from the midst of the four living creatures, saying, 'A quart of wheat for a denarius [a whole day's wages], and three quarts of barley for a denarius; but do not harm the oil and the wine'." [Revelation 6:5-6, Parallel Bible, KJV/Amplified Bible Commentary]. This judgment is apparently economic, as we see it will take an entire days' wages to just buy one quart of wheat. Perhaps this is why we see famine in the Fourth Seal Judgment to follow. The rich apparently are spared this judgment, for they are the ones in the economy of the time Revelation was written who routinely had oil and wine at their disposal. Fourth Seal Judgment: "When the Lamb broke open the fourth seal, I heard the fourth living creature call out, 'Come!' So I looked, and behold, an ashy pale horse [black and blue -- the livid, ashen, discolored appearance of the dead: it symbolizes death and pestilence] and its rider's name was Death, and Hell [Hades] followed him closely. And they were given authority and power over a fourth part of the earth to kill with the sword and with famine and with plague (pestilence disease) and with the wild beasts of the earth." [Revelation 6:7-8; Parallel Bible, KJV/Amplified Bible Commentary]. The reason Hell followed Death so closely as he rode the pale horse was that so many people were dying at once that they were just falling into Hell. God describes this situation perfectly. Listen: "Therefore, Sheol [Hell, the realm of the dead] has enlarged its appetite and opened its mouth without measure ..." [Isaiah 5:14a] In this passage, God was describing the tremendous numbers of dead Jewish people that were going to be killed when His Divine Judgments began to fall upon that wicked and unrepentant people. But, this verse does give us the understanding that, at appropriate times in world history, God causes Hell to "enlarge its appetite" and "open its mouth without measure". This time in world history seems to be coming upon us now. In our Daily News, we see "warnings" from our intelligence services of attacks from nuclear weapons, biological and chemical weapons. Never before in our history have our daily news media outlets been so saturated with the very stuff of which Seals Two through Four are comprised! As my Daddy used to say, "Where there is smoke, there is fire". Our Daily News is full of this kind of smoke. If we Christians are caught up in this maelstrom, we cannot panic and rush about in fear. We must stand courageously, reaching out to the lost and dying, sharing the Gospel with them right up to the end of their lives, or ours. We know the moment we take our last breath, we are in the presence of the Lord. "... for God Himself has said, 'I will not in any way fail you nor give you up nor leave you without support. [I will not, I will not, I will not] in any degree leave you helpless nor forsake, nor let you down (relax My hold on you)! Assuredly not!' So we take comfort and are encouraged and confidently and boldly say, 'The Lord is my Helper; I will not be seized with alarm [I will not fear or dread or be terrified]. What can man do to me?' " [Hebrews 13:5b-6; Footnote: "I will not" is repeated three times because in the original Greek "three negatives precede the verb"]. Finally, this is my favorite passage in the whole Bible for going through trials and tribulations, especially as I contemplate the End of the Age. Corrie Ten Boom said her father read this passage every day of World War II, claiming its promises for his family. I hope you find it as heartwarming and comforting as have I nearly every day for over a decade now. These promises seem peculiarly fitting for the type of storm clouds gathering at the horizon right now. "He who dwells in the secret place of the Most High shall remain stable and fixed under the shadow of the Almighty [Whose power no foe can withstand]. I will say of the Lord, 'He is my my Refuge and my Fortress, my God; on Him I lean and rely, and in Him I [confidently] trust! "For then He will deliver you from the snare of the fowler and from the deadly pestilence. Then He will cover you with His pinions and under His wings shall you trust and find refuge; His truth and His faithfulness are a shield and a buckler. "You shall not be afraid of the terror of the night, nor of the arrow (the evil plots ... of the wicked) that flies by day, Nor of the pestilence that stalks in darkness, nor of the destruction and sudden death that surprise and lay waste at noonday. A thousand may fall at your side, and ten thousand at your right hand, but it shall not come near you. Only a spectator shall you be [yourself inaccessible in the secret place of the Most High] as you witness the reward of the wicked. "Because you have made the Lord your refuge, and the Most High your dwelling place, There shall no evil befall you, nor any plague or calamity come near your tent. For He will give His angels special charge over you to accompany and defend and preserve you in all your ways [of obedience and service]. They shall bear you up on their hands, lest you dash your foot against a stone. "He shall call upon Me, and I will answer him; I will be with him in trouble, I will deliver him and honor him and show him My salvation." [Parallel Bible, KJV/Amplified Bible Commentary; Emphasis added]. I do not know how God will deliver His saints at this time, but I have absolute faith He will do so. Certainly, the only preparation for these onrushing events is spiritual, being in right spiritual relationship with God through Jesus Christ. Before the warnings in our Daily News becomes reality, as Prophecies say they will, you must get your heart right with Jesus Christ. You must "stand in the gap" to pray for others and boldly witness to all in your Sphere of Influence. When these disasters begin to hit, your Sphere of Influence will change, and it will broaden. If it is God's Will that we shall be here during this time, you must aggressively and lovingly share the love of Jesus Christ through His Gospel with others.